50% Pre-Shrunk Wool, 50% Acrylic - 12 Gauge. Machine washable on wool setting. Longer hip length with matching ribbed sleeve and hem detail, slim-line. Colours: Charcoal | Navy | Black. 50% Pre-Shrunk Wool, 50% Acrylic - 12 Gauge. Machine washable on wool setting. Contemporary V-neck style. Colours: Charcoal | Black | Navy. 100% BIZ COOL Breathable Polyester. Sweat-wicking stretch fabric perfect as a mid-layer. Reflective trims and fluoro Hood Lining/Cuff to maximise visibility. Thumb holes keep sleeves down for added warmth. Colours: Grey/Fluoro Orange | Grey/Fluoro Yellow | Grey/Fluoro Pink. 100% BIZ COOL Breathable Polyester. Sweat-wicking stretch fabric perfect as a mid-layer. Reflective trims and fluoro Hood Lining/Cuff to maximise visibility. Thumb holes keep sleeves down for added warmth. Colours: Grey/Fluoro Orange | Grey/Fluoro Yellow. Outer: 100% Polyester. 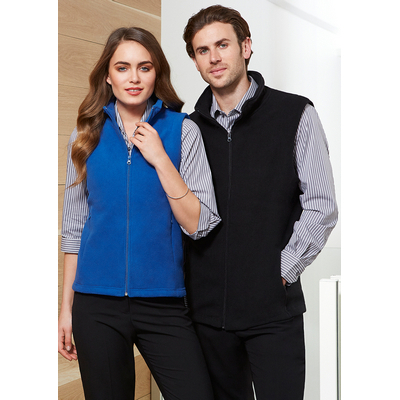 Inner: 100% Polyester panel with 100% Micro Fleece. 2 Open side welt pockets. Full front zipper with leather puller. Adjustable drawstring around hem. Zipper access for embroidery. Available in Black, Navy only. Colours: Navy | Black. 100% Polyester Low Pill Micro Fleece. All new contemporary fit and style. Concealed pockets. Binding trim on armholes and collar. 200 GSM. Colours: Black | Navy. 100% Polyester Low Pill Micro Fleece. All new contemporary fit and style. Concealed pockets. Binding trim on armholes and collar. 200 GSM. Colours: Navy | Black. 100% Polyester Low Pill Micro Fleece. Matching full length front zipper. 2 Front zippered side pockets. 285 GSM. Colours: Forest | Navy | Black. Wool-Rich - 80% Merino Wool, 20% Acrylic - 12 Gauge. Fully fashioned. Contemporary styling with wide scoop neck basque. Colours: Black | Navy. 73% Viscose, 27% Nylon - 12 Gauge. Ribbed V neckline, armhole/cuffs and hem. Colours: Red | Black | Charcoal | Navy. 100% Polyester Low Pill Micro Fleece. Matching full front zipper. Shaped for women with panel details at sides. Concealed front pockets with invisible zippers. 285 GSM. Colours: Royal | Forest | Red | Navy | Black. 100% Polyester Fleece. Full front zipper with kangaroo pocket. Matching modern loose-fit hem ribbing. No drawstring in hood - keeping kids safe. 245 GSM. Colours: Black | Navy | Royal | Grey Marle | Red. 100% Polyester Fleece. Full front zipper with kangaroo pocket. Matching modern loose-fit hem ribbing. 245 GSM. Colours: Red | Black | Royal | Grey Marle | Navy. 100% Polyester Fleece. Contrast shoulder panels and piping. Full front zipper with kangaroo pocket. Matching modern loose-fit hem ribbing. 245 GSM. Colours: Black/White | Black/Gold | Navy/Gold | Navy/White | Black/Red | Royal/White. 50% Pre-Shrunk Wool, 50% Acrylic - 12 Gauge. Longer hip length with matching ribbed sleeve and hem detail, slim-line, button through placket. Machine washable on wool setting. Colours: Black | Charcoal | Navy. 100% Merino Wool - 12 Gauge. Fully fashioned, button through front with gather detail. Contemporary styling and fit. Colours: Black/Charcoal. 73% Viscose, 27% Nylon - 12 Gauge. Full open 2 way zipper. Modern fashion styling. Colours: Red | Black | Charcoal | Navy. 100% Polyester Low Pill Micro Fleece. Experience warmth without the weight. All new contemporary fit and style. Concealed pockets. Binding trim on collar and thumb loops on cuffs. 200 GSM. Colours: Black | Grey | Navy. 100% Polyester Low Pill Micro Fleece. Matching full length front zipper. Right chest zippered pocket. 2 Front zippered side pocket. Semi-elasticated cuff for comfort. Durable flat locked stitched seams. 360 GSM. Colours: Forest | Black | Graphite | Navy. 100% Polyester Low Pill Micro Fleece. Contrast piping detail at shoulder and sleeve. 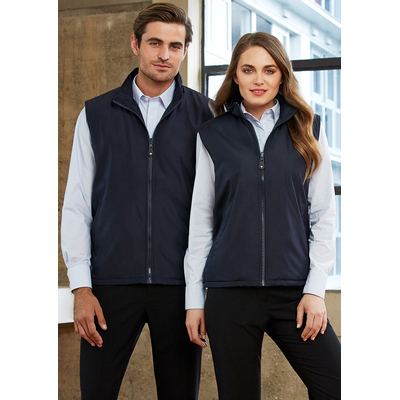 1/2 Zip front neck with 2 front zippered side pockets. Semi-elasticated cuff for comfort. 285 GSM. Colours: Graphite/Black | Navy/Gold | Navy/White | Black/White | Black/Red. 100% Polyester Low Pill Micro Fleece. Contrast piping detail at shoulder and sleeve. 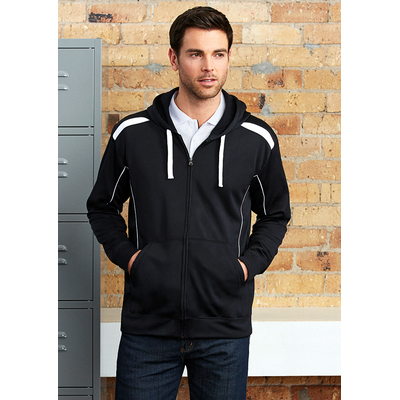 1/2 Zip front neck with 2 front zippered side pockets. Semi-elasticated cuff for comfort. 285 GSM. Colours: Navy/Gold | Black/White | Black/Red | Graphite/Black | Navy/White. 100% Polyester Fleece. Contrast shoulder panels and piping. Full front zipper with kangaroo pocket. Matching modern loose-fit hem ribbing. 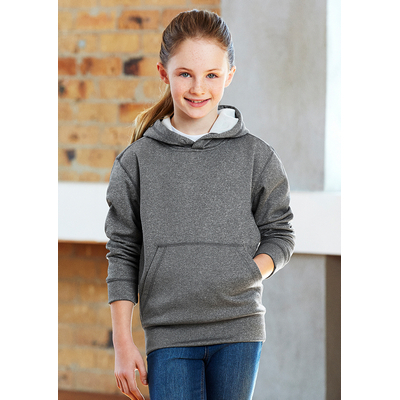 No drawstring in hood - keeping kids safe. 245 GSM. Colours: Black/White | Black/Red | Navy/Gold | Navy/White | Royal/White | Black/Gold. 50% Wool, 50% Acrylic - 12 Gauge. Button through cardigan. 2 Front pockets. Machine washable on Wool setting. Colours: Black | Navy. Wool-Rich - 80% Merino Wool, 20% Acrylic - 12 Gauge. Fully fashioned. Contemporary styling with wide scoop neck basque. Fashionable 3/4 sleeve length on pullover. Machine washable on Wool setting. Colours: Black | Navy. 73% Viscose, 27% Nylon - 12 Gauge. Ribbed V neckline, armhole/cuffs and hem. Colours: Black | Charcoal | Navy. 100% Polyester Low Pill Micro Fleece. Matching full length front zipper. 2 front zippered side pockets. 285 GSM. Colours: Black | Forest | Navy. 100% Polyester Low Pill Micro Fleece. Matching full length front zipper. Shaped for women with panel details at sides. Concealed front pockets with invisible zippers. 285 GSM. Colours: Forest | Red | Royal | Black | Navy. 100% Polyester Low Pill Fleece. 2 Front angled welt pockets with concealed matching zippers and pullers. Adjustable drawstring around hem and elasticated cuff. 285 GSM. Colours: Forest | Maroon | Navy | Black. 100% Polyester Fleece. Kangaroo front pocket. No drawstring in hood - keeping kids safe. Matching loose-fit hem ribbing. 245 GSM. Colours: Navy | Kelly Green | Grey Marle | Forest | Gold | Red | Royal | Purple | Black | White.